Santa Claus in the Tacoma area. - Santa Gene in Tacoma! Welcome to My Tacoma Santa's Website! Are you looking for a real bearded, jolly ol' elf with a twinkle in his eye and dimples in his cheeks and when he laughs his stomach shakes like a bowl full of jelly? Then you have come to the right place! 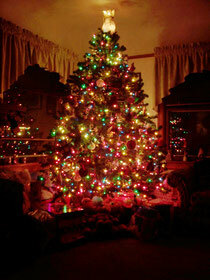 Santa Claus is available for home visits, pictures with Santa Claus and telling of Stories! Santa's workshop is in Tacoma but he is available to visit other towns and cities in the area. Santa also loves to sing and lead in group singing. Home visits kindle memories for years to come. I love to visit with children of all ages! To share a story, sing a favorite Christmas carol! Corporate parties are also fun to do! I love doing Santa Claus pictures and interact with children and clientele. 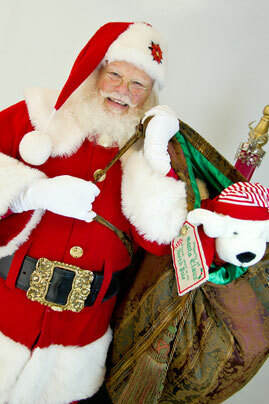 If you are looking for a professional Santa Claus for your party please contact me! Call or email for your visit with Santa!